Another December brings another batch of holiday releases from artists across a variety of genres. While there is typically much overlap between the repertoire, with myriad renditions of classics like “Jingle Bells” and the “Little Drummer Boy” being staples of the holiday season, this year’s crop features some compelling new arrangements of classics as well as more conventional approaches to standards. While these new releases are heavily weighted towards jazz, there are also some notable new offerings in soul and blues as well as a re-release of a holiday classic. Here are some of this year’s highlights. 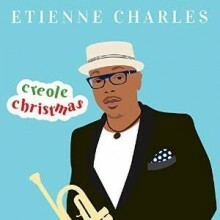 Jazz trumpeter Etienne Charles has released a new disc of Christmas music so engaging that listeners may forget they are listening to a holiday album. Creole Christmas’s musical gumbo is flavored by a variety of sounds, leaning heavily on Caribbean and trad jazz. Holiday albums tend to have a mixture of traditional perennial favorites mixed with original compositions by artists attempting to make a contribution to the seasonal repertoire. Charles models this approach, but also includes less well-known songs by composers other than himself or members of his band. The traditional Christmas tunes on this album indicate that Charles has no preconceived notions about what a “proper” rendition of a standard should sound like, as he freely mixes and matches songs and styles. A highlight is Charles’s duo version of “I’ll Be Home for Christmas” with guitarist Randy Napoleon. Napoleon stylishly comps while Charles plays loosely around the melody with enough style and sincerity to convince any Grinch of the song’s value. The chart for “Santa Claus is Comin’ to Town” is what every member of every jazz combo taking a holiday gig this year actually wants to play: the song’s funk and bop tinged arrangement gives the excellent soloists in this band time to stretch out while the in-the-pocket rhythm section–featuring Kris Bowers (Piano), Alex Wintz (guitar), David Williams (bass), and Obed Calvaire (drums)–keeps the momentum going. Charles even successfully reimagines Tchaikovsky, including fresh renditions of the Russian Romantic composer’s “Spanish Dance” and “Dance of the Sugar Plum Fairy” which transcend the monotony of the season’s obligatory Nutcracker performances. There are numerous guest artists on this album as well, with songs featuring vocalists Realtor, David Rudder, and Mykal Kilgore as well as in-demand bassist Ben Williams playing on five cuts. Each of these guest’s contributions are remarkable–Rudder delivers the story song song “Tell Santa Claus” (about a lonely boy who wants an instrument to keep him company for Christmas) with pathos, providing a bittersweet contrast with the song’s upbeat Caribbean groove. 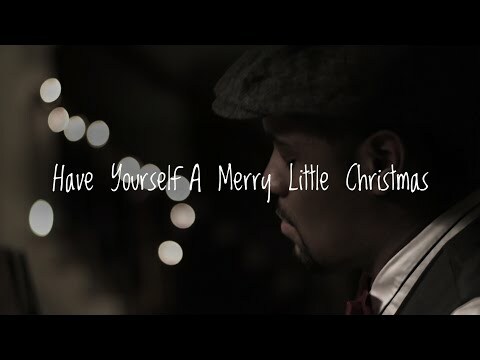 Kilgore convincingly sings an understated version of the oft-recorded Donny Hathaway song “This Christmas” in dialogue with the excellent horn chart that sets Charles up for perhaps his most melodic improvisation on the album. On this track, the band gives what is perhaps the most soulful of all Christmas standards its due with exciting and unexpected full-band modulations during the repeated vamp. The less well-known numbers are also compelling. Featuring Realtor on vocals, the steel pan-infused “Make a Friend for Christmas” presents a fun take on how to spend the holidays even if not flush with cash. 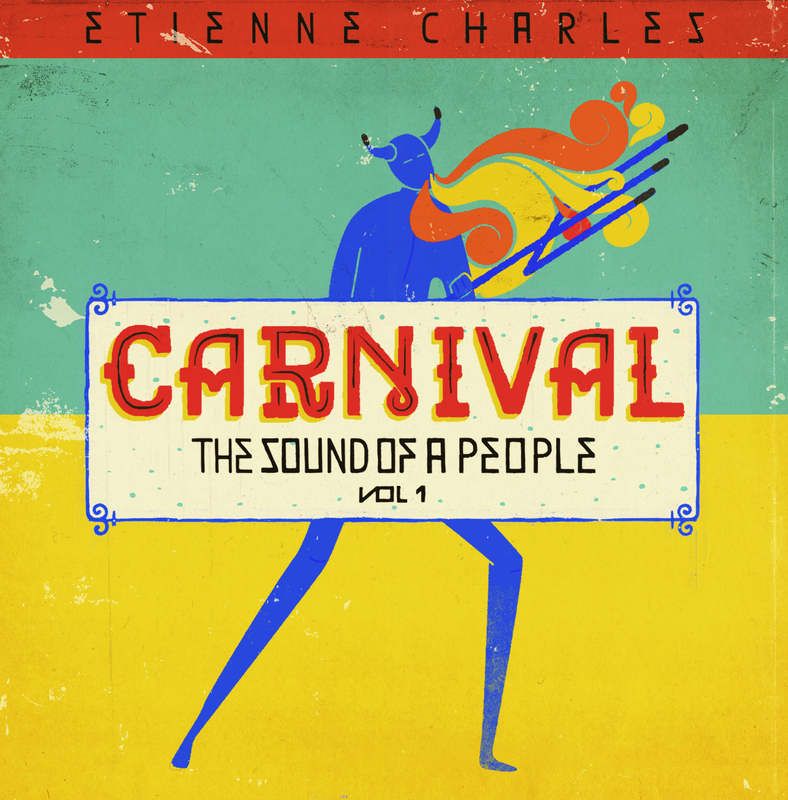 There are other tracks that may be unfamiliar to American audiences, such as the Trinidadian “Indian Parang Chick” and a reading of “Juliana,” composed by Lionel Belasco. Pairing dyed-in-the wool staples of Christmas radio repertoire with compelling readings of less familiar holiday fare, Etienne Charles and company have crafted what is likely the most stylistically diverse album of this holiday season. The band’s compelling arrangements and playing make the ebullient Creole Christmas the perfect way to get into the spirit. It would be wise to pick this one up early in the season, because nothing goes together quite as well as dancing and decorating. 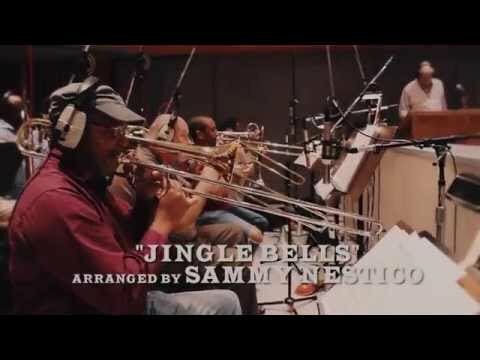 This is the first full-length Christmas release from the Count Basie Orchestra in the band’s 80 year history, despite the fact that Basie-flavored big band jazz is a key part of Christmas music (as this “most wonderful time of the year” also is the only 45-60 days annually in which jazz is heard on commercial radio). Even though this is technically the band’s first holiday release as such, it should be noted that a previous incarnation of the ghost band appeared on a 2008 collaboration with Tony Bennett, A Swingin’ Christmas. The interpretations featured on this release won’t be a surprise to either jazz fans or those familiar with the standard holiday repertoire, as the album features the usual musical suspects: “Jingle Bells,” “The Christmas Song,” and, of course, a version of “The Little Drummer Boy” that prominently features drummer Clayton Cameron. There are several guest vocalists, including Carmen Bradford, Ledisi, and even Mr. Christmas himself, Johnny Mathis. As a good ghost band should, this group has perfected the Basie band’s signature sound under the leadership of trumpeter Scotty Barnhart. The band even enlisted go-to Basie arranger Sammy Nestico on what are arguably the two best renditions found on this disc, “Jingle Bells,” and “Winter Wonderland.” The rhythm section nails the classic sound, with guitarist Will Matthews convincingly playing the famous Freddie Green chunks while dual-pianists Llew Matthew’s minimalistic solos and Ellis Marsalis’s “plunk, plunk, plunks” round out the detailed study of Basie’s own playing. Naturally, the featured soloists stand in long shadows—while it is impossible to live up to the inimitable standards Basie’s most famous soloist, Lester Young, tenor man Doug Lawrence valiantly fills the chair, even if his sound is a bit more slickly-polished and bop-inflected than that of Prez. 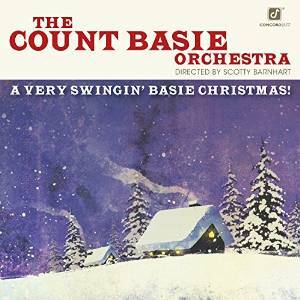 While this release sets no new standards for performing holiday classics, the arrangements on A Very Swingin’ Basie Christmas feel and sound good enough for multiple listens. This toe-tapping record trades in what holiday albums often do: familiar-sounding arrangements of tunes we all know by heart. 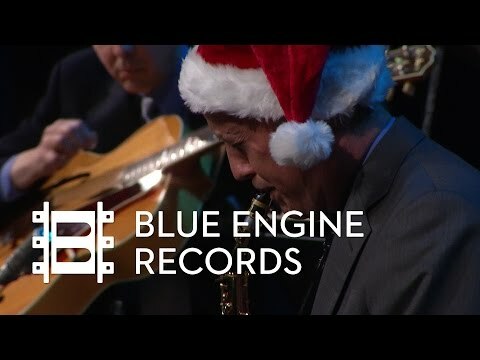 The new holiday release from Jazz at Lincoln Center Orchestra with Wynton Marsalis is the center’s in-house record label Blue Engine’s first release on vinyl (which, by the way would make excellent stuffing for a very large stocking). 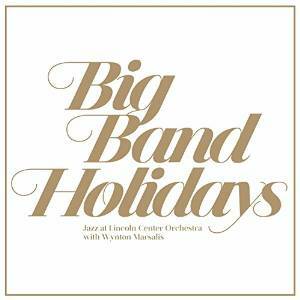 Big Band Holidays is a great compliment to more traditional big band holiday albums, and features the world famous Lincoln Center gang serving up fresh renditions of standard seasonal favorites alongside some less well-known fare. Culled from recordings from over a decade of live performances from the band’s seasonal concerts, it is no wonder that this compelling set features some arrangements and performances that are gems. Highlights include a hard-driving reading of “Jingle Bells,” led by Dan Nimmer’s formidable boogie-woogie piano chops, and “Have Yourself a Merry Little Christmas,” a standard re-imagined with new lyrics sung by Cécile McLorin Salvant and a hard-swinging guitar solo by James Chirillo. Listeners may expect a bit more than what Marsalis and company deliver on the Louis Armstrong classic “Zat You, Santa Claus,” given the bandleader’s penchant for wailing on New Orleans-inspired tunes. However, this (slight) misstep is largely made up for by the band’s inclusion of less well-known fare such as “A Cradle in Bethlehem,” the Sammy Cahn-penned “It’s Easy to Blame the Weather,” and an easy-swinging rendition of the Basie classic “Good Morning Blues” (which, thankfully, Lincoln Center recorded, righting a woeful omission on this year’s holiday release by the Basie ghost band). Jazz musicians often use food metaphors to talk about music-making; on Big Band Holidays, Marsalis and company take the stale leftovers of the traditional holiday repertoire and cook up fresh new dishes seasoned by their reinterpretations. This artfully crafted dish makes the boring weeknight menu of holiday tunes more palatable to picky jazz audiences. 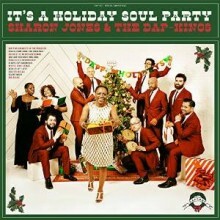 Longtime fans of Daptone records neo-classic soul sound will likely remember the release of Sharon Jones & The Dap Kings’ socially-conscious 2010 single “Ain’t No Chimneys in the Projects,” a smart Christmas song that avoids the sweeping utopia-evoking platitudes that often spoil holiday songs with a message. Fans who copped the single have likely been waiting for a fully-fleshed out holiday release from one of the hardest-working soul bands in the business. Jones and company’s It’s a Holiday Soul Party is one of the season’s funkiest and freshest holiday albums, a long-awaited and eagerly anticipated release that does what the band does best—hearkens to the days of classic soul. “Ain’t No Chimneys” is, of course, included on this release along with several other original holiday tunes—the album’s lead cut, “8 Days of Hanukkah,” is perhaps the funkiest song ever written about the celebration, complete with James Brown style additive hits as the song progresses through eight verses. 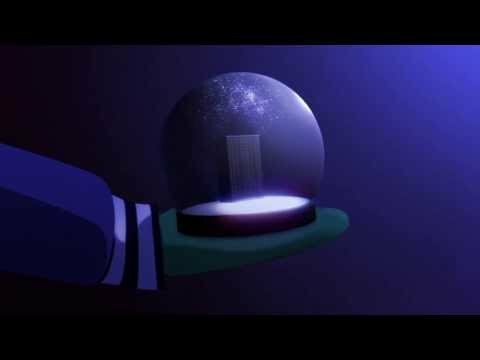 “Big Bulbs” (previously released on a 7” single with “Just Another Christmas Song” in 2014) is a catchy exercise in winking soul minimalism with jingle bells, energetic rhythm guitar, David Guy’s soulful trumpet and Jones’s lyrics that are somehow simultaneously vivid and oblique, propelling the song’s forward momentum. Of course, no holiday release would be complete without the obligatory sentimental “peace on Earth” style ballad, and “World of Love” is the group’s contribution to this idiom. As listeners may expect, the group also includes several numbers from the standard seasonal repertoire, with interesting renditions of classic fare—“Funky Little Drummer Boy” is aptly titled, and “Silver Bells” (a personal all-time favorite Christmas tune) merges a gospel intro with an Albert King on Stax feel throughout the rest of the song. “God Rest Ye Merry” showcases the Dap Kings’ humor and chops on the all-instrumental number that incorporates playful quotes from other sources, like “Hall of the Mountain King” and “Jingle Bells,” in a track that turns the carol into a vehicle for some delicious improvisation. It is a shame that this cut isn’t longer as the band could probably keep this groove perpetually interesting. In a field that is always crowded with established artists seeking to make a few extra bucks, Sharon Jones & the Dap Kings have released one of the best and most original holiday albums in recent years, a carefully-crafted album that doesn’t feel like a cash grab. It’s a Holiday Soul Party is the LP that you should play (on 180 gram audiophile vinyl, of course) to bolster your street cred when your slightly-more fashionable/slightly-younger cousin visits this December. This release makes the holiday record hip again, and is perhaps the coolest holiday soul release since The Jackson 5 Christmas Album. 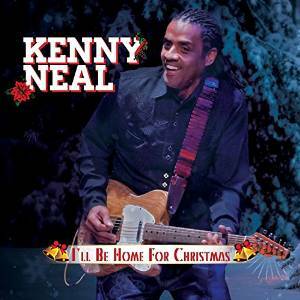 New Orleans blues guitarist, singer, and harmonica player Kenny Neal’s new holiday release, I’ll be Home for Christmas, is a family affair, appropriate given the album’s title and the season. This release features several members of the Neal clan, including brothers Darnell and Frederick on bass and keys as well as Kenny’s daughter Syreeta singing on several tracks. The band plays New Orleans-inflected blues comfortably, as though they’ve been doing it all their lives (which in all likelihood, they probably have). The band’s modus operandi is “take a traditional Christmas song, make it bluesy, rinse and repeat.” The title ballad is reworked as a blues song, providing ample opportunity for Kenny’s harp playing to shine through, and the Christmas blues standards are included, including a rendition of Charles Brown’s “Please Come Home for Christmas” and two—count ‘em—two recordings of “Merry Christmas Baby,” one rollicking and upbeat, the other at a slow “Stormy Monday” tempo, both featuring Kenny’s guitar chops. The band even plays “Silent Night” as a shuffle and uses the “All Blues” bassline on “Silver Bells.” The album’s more traditional moments occur on songs that feature Syreeta and pianist Joel Joseph, as “Merry Little Christmas” and “O Come All Ye Faithful” are not nearly as overt products of the blues tradition as much of the rest of this material, other than including a few stylized vocal inflections and reharmonizations. While this release won’t give listeners a reason to listen to especially carefully, the upbeat renditions of familiar songs balanced with nice ballads would certainly be a great soundtrack for finishing up that last minute shopping. These tunes are certainly played more competently and stylishly by this band than by the flavor-of-the-week pop stars who will inevitably push similarly familiar collections of songs this season. 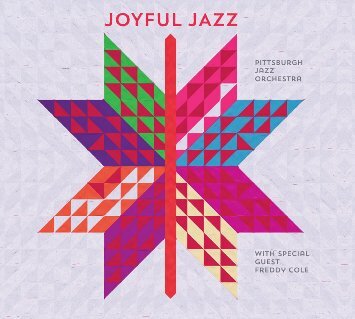 In a year with other notable big band holiday releases, it is important to mention the Pittsburgh Jazz Orchestra’s Joyful Jazz. While this band doesn’t carry the same cultural cachet as the Count Basie or Lincoln Center bands, the Pittsburgh Jazz Orchestra has released a solid offering to complement other Christmas jazz offerings. The repertoire is drawn primarily from standard Christmas fare, with a few less familiar offerings peppered in for variety. A highlight is “Merry Christmas John Coltrane,” a wonderful take on “Deck the Halls” set to Coltrane’s “Giant Steps” chord changes, featuring some monster solos by the band on the difficult form. “Carol of the Bells” includes both some compelling ensemble playing as well as improvisation on the classic carol, and guest vocalist Freddy Cole swings on “Jingles, the Christmas Cat.” The album is rounded out with a funky interpretation of “Joy to the World.” The band contains excellent musicians and has some interesting arrangements that spice up the otherwise familiar material. While the fare on this record is nothing revolutionary, Joyful Jazz features some compelling solos and great ensemble playing, and will certainly get listeners into the holiday spirit. 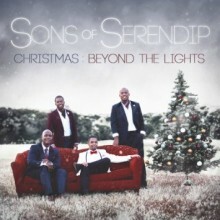 Sons of Serendip is perhaps best known for the how the group got its big break, placing fourth on season nine of America’s Got Talent. Featuring instrumentation that resembles a chamber group—cello, piano, harp, and vocals—this ensemble is difficult to categorize into a particular genre. Their blend of classical, R&B, and easy listening influences may best be described as pretty. Naturally, riding their wave of fame and the gorgeous light classical arrangements they became known for on TV, a Christmas album seems a logical choice to capitalize on their sonorous style a la Josh Groban. This holiday release allows the group to put their signature stamp on a variety of familiar material—“O Holy Night,” “Have Yourself a Merry Little Christmas,” “The Christmas Song,” and others in the same vein. Sentimental holiday songs allow the group to use its dramatic flourishes in a medium which doesn’t run the risk of being labeled “cheesy”—after all, these songs are all about nostalgia and warm emotions to begin with, so tinkling piano and impassioned cello don’t run the risk of making them sound unduly saccharine. That being said, there aren’t many upbeat numbers on this record save the group’s Latin-tinged reading of “This Christmas.” Listeners looking for energetic fare to spice up their holiday parties may wish to look elsewhere, but those looking for a soundtrack to the season’s more tender moments should check out Christmas: Beyond the Lights. Long a staple of Grandma’s Christmas Eve dinner as important as the turkey and apple pie, string-driven versions of holiday tunes are perhaps the most valuable currency in which Muzak and easy listening satellite radio channels trade. 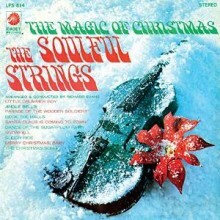 While the general consensus among listeners who use music as anything other than unobtrusive background accompaniment is that this genre is schmaltzy at best, this reissue of The Soulful Strings’ The Magic of Christmas muddies the waters a bit. Essentially the Cadet records house band (Cadet was Chess’s jazz subsidiary in the mid-1960s), The Soulful Strings was a group of accomplished studio cats who realized that it would be easy enough to produce and sell instrumental versions of pop recordings, and they released a total of 7 LPs following this model. What set The Soulful Strings apart from other string-pop easy listening groups of their day was that the tracks they laid down were a bit funkier than those of their “sweet” counterparts. This is largely due to the tight grooves provided by their rhythm section, featuring Phil Upchurch (guitar), Charles Stepney (organ and vibes), Cleveland Eaton (bass and cello), and Morris Jennings (drums). “The Little Drummer Boy” grooves polyrhythmically, reminding us that it once wasn’t a cliche to make the song a drum feature. The band digs into the groove on “Santa Claus is Coming to Town” with a funky bassline and hits that give the children’s song new life, mostly because of Cleveland Eaton’s supremely funky pizzicato cello solo (with his voice picked up scatting on the mic). The musicians’ hip playing continues throughout the release—Phil Upchurch’s guitar solo on “Jingle Bells” is a study in tension and release, somehow making the winter standard worthy of more serious consideration than it should warrant by any means. Naturally, a reissue of this kind necessitates a certain amount of nostalgia on the part of listeners for them to truly dig what is happening—after all, the studio orchestra has a very particular time stamp on it for most contemporary listeners. This is not necessarily a bad thing; the holidays are the ideal time to walk down memory lane, as adults recall being children and Bing Crosby once again dominates the airwaves. The Magic of Christmas offers a compliment to the nostalgia for Christmas past while some of the fab arrangements on this album may convince listeners to swap their tacky sweater and eggnog for a skinny tie and dirty martini.